Multi-User MIMO, lets the Archer VR2600 serve several mobile devices simultaneously for speeds up to 3X faster performance for all devices on the network. 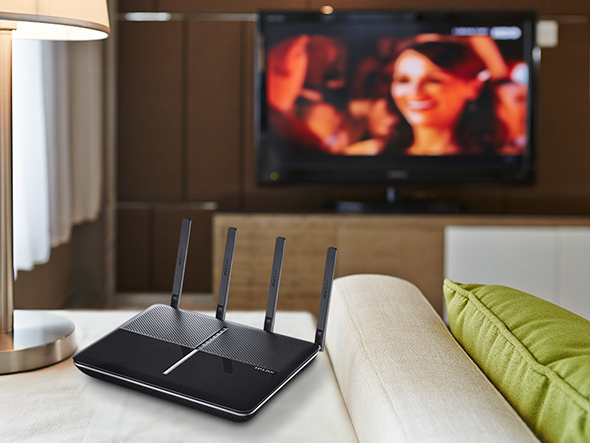 Unleash the full power of your high-performance PCs, smart TVs, and consoles by using the router to seamlessly stream 4K HD video and game online across multiple devices at once with MU-MIMO. 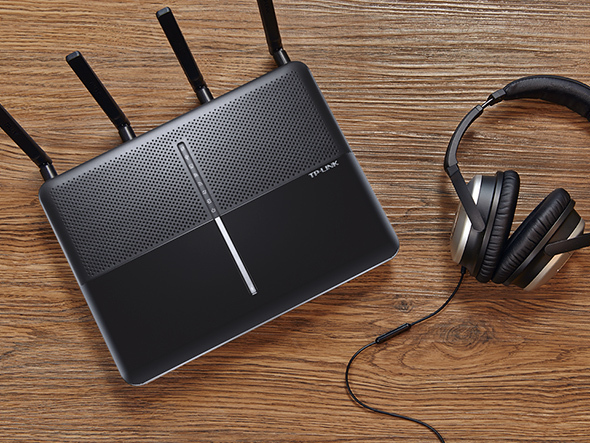 The latest VDSL2 technology allows the Archer VR2600 to deliver impressive VDSL broadband speeds of up to 100Mbps, which is almost five times faster than ADSL2+. 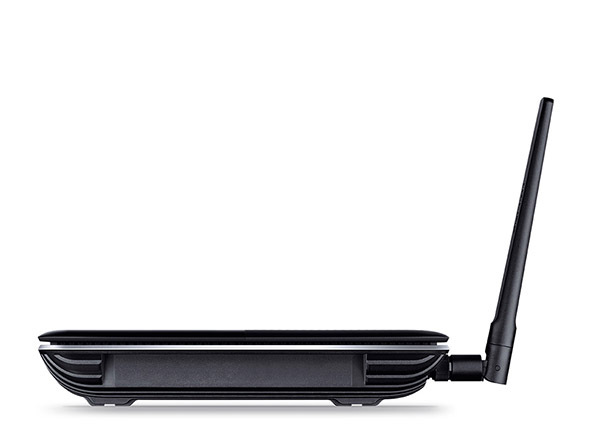 The Archer VR2600 serves as a DSL modem and wireless router, combining two devices in one. 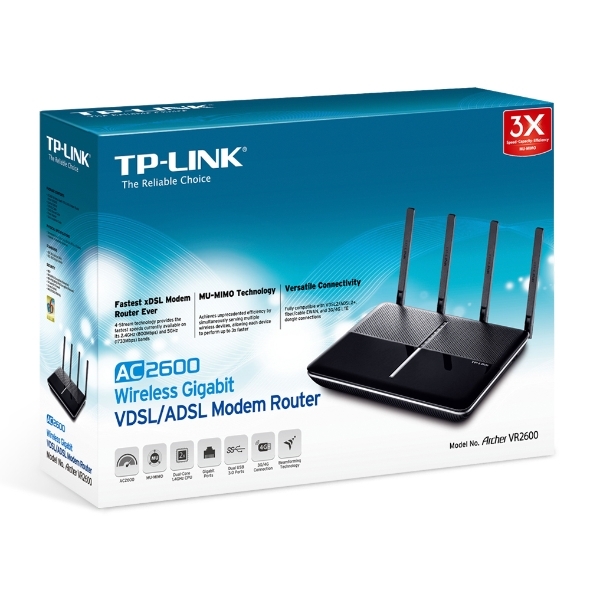 The integrated DSL port supports all standard DSL connections, including VDSL2, ADSL2+, ADSL2, and ADSL. A preeminent 1.4GHz dual-core processor brings a new level of performance and eﬃciency to Archer VR2600, making it possible for everyone in your crowded network to surf, stream, and game at once without any slowing down. The Archer VR2600’s dual USB 3.0 ports run 10x faster than USB 2.0 for data transfer at lightning speed. 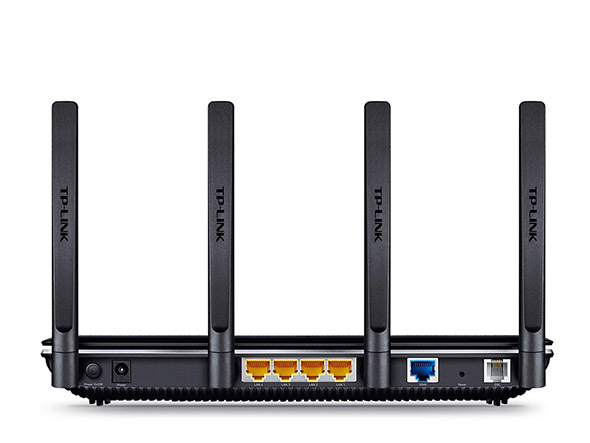 Four Gigabit Ethernet ports can operate 10x faster than standard Ethernet. The Archer VR2600's dual USB 3.0 ports run 10x faster than USB 2.0 for data transfer at lightning speed. 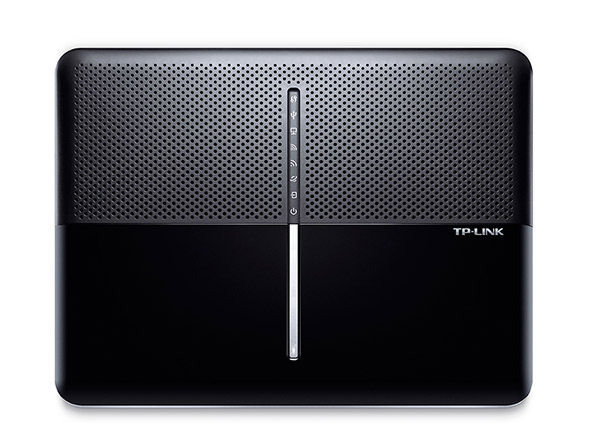 You can connect external drives to the ports and easily share files, photos, music, and video across your network. 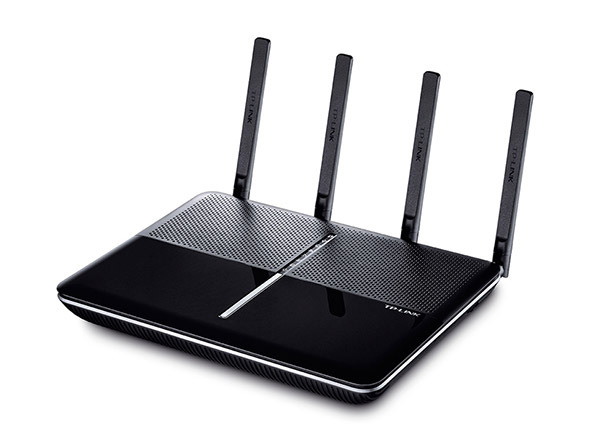 To help your wired devices achieve peak performance, the router also equipped with four Gigabit Ethernet ports that can operate 10x faster than standard Ethernet.